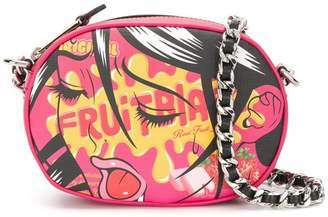 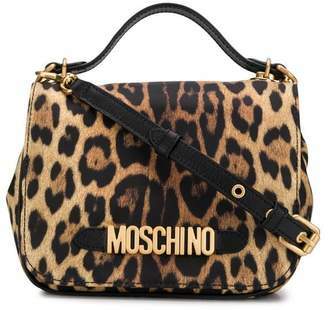 Jeremy Scott has established the logo as a key Moschino icon. 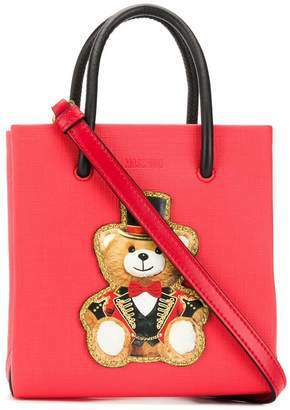 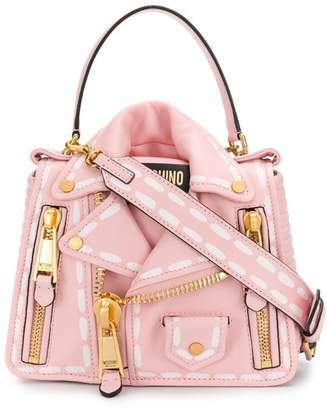 The Moschino has taken on many incarnations season after season making it part of the brand's DNA. 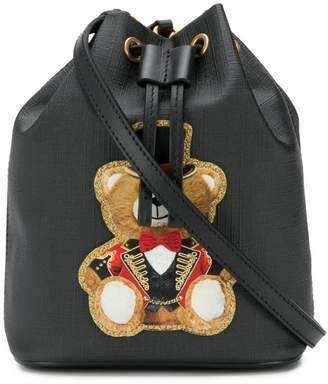 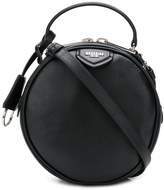 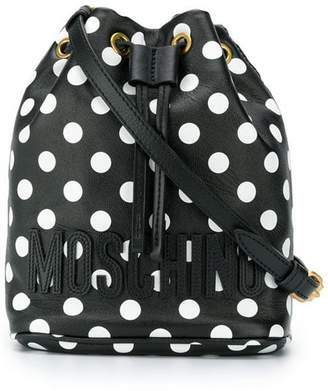 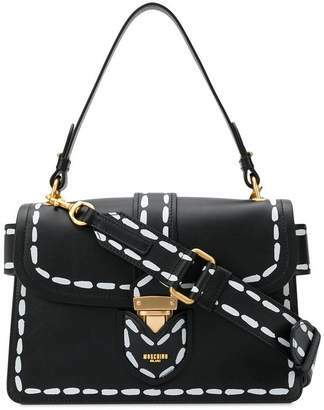 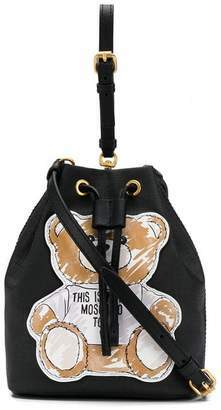 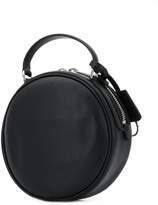 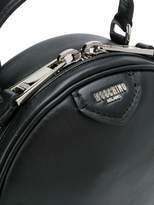 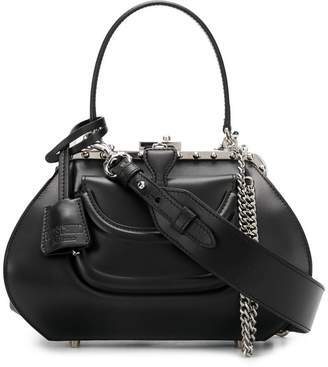 This black leather round shaped crossbody bag from Moschino featuring a shoulder strap.